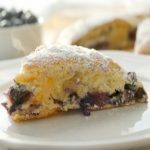 Blueberry Scones are the perfect breakfast or afternoon snack option that is easily made using fresh blueberries! 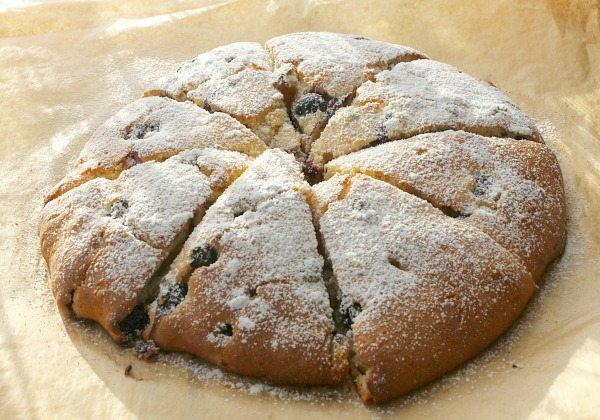 These blueberry scones are the perfect make ahead breakfast! 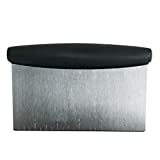 This post has been updated from February 2016 in April 2019 to improve the reader experience. I have told my readers a LOT that I am not much of a breakfast person but this year I am fighting my way through that. 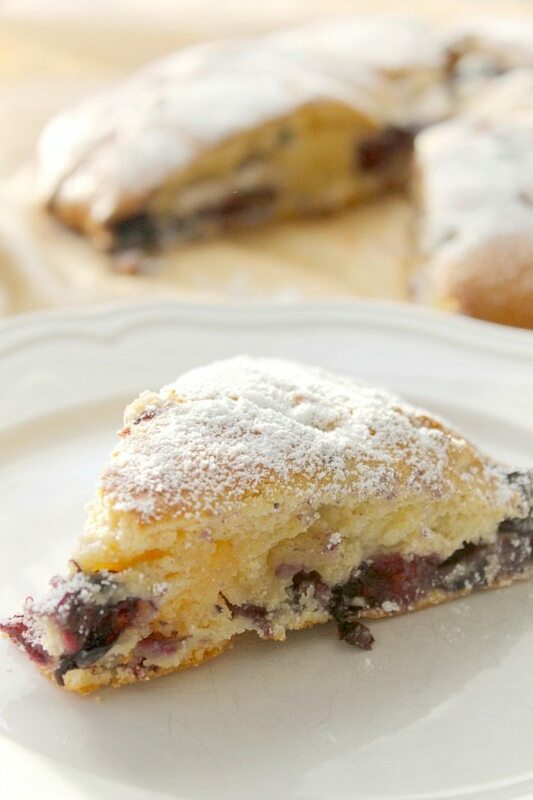 Making these blueberry scones is one way I am combating my lack of eating breakfast. I love making smoothies but sometimes I want something a little more substantial before I head off to work. That’s where these scones come into play. They bake up in almost about 30 minutes and can be made the day before. So while I am sitting around in the evening watching the tube, I’ve got fresh blueberry scones cooking away and ready to be eaten first thing in the morning! Normally, you would think of a scone as an afternoon type treat with a cup of tea but it’s acceptable to eat them for breakfast as well! I went with blueberry because my local grocery store has had them on sale for over a week for .99 cents a pint. Now that can not be beat at all! So I bought 6 pints at the beginning of the week and 6 more right before the sale ended! We are stocked up for awhile and my kids couldn’t be happier! Me either because now I want to make these scones again! ENJOY! First, Preheat your oven to 350 degrees F and line a baking sheet with parchment paper. Next, mix together flour, baking powder, sugar, cinnamon and butter until mixer is crumbly. Then, add eggs and milk and continue to mix until combined. Dough will be sticky, add the other 1/2 cup flour. Next, dump mixture out onto parchment paper. Then, shape into round disk. After, cut into 8 equal pieces. Finally, bake for 30 minutes or until scones are golden brown and toothpick inserted in middle comes out clean. 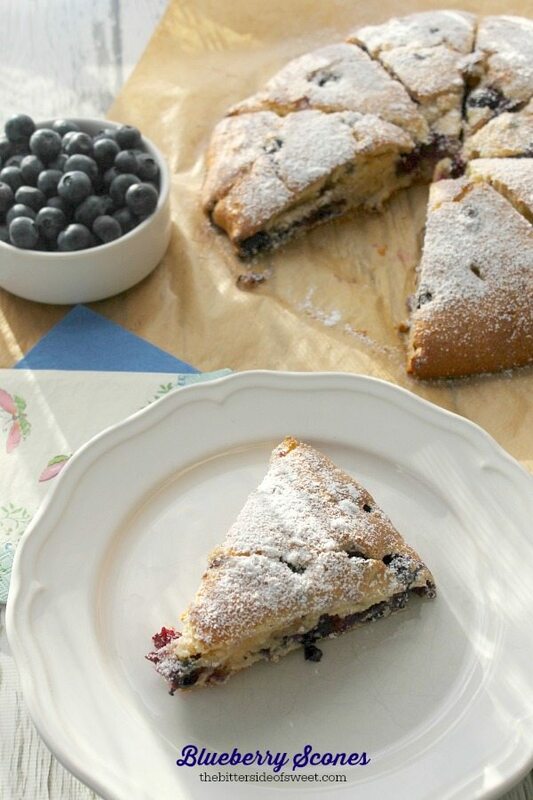 These blueberry scones are perfect to put together on a Sunday night for breakfast all week! If you love this recipe, I’d love for you to give it 5 stars! These blueberry scones are the perfect quick breakfast! 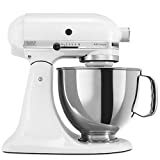 Mix together flour, baking powder, sugar, cinnamon and butter until mixer is crumbly. Add eggs and milk and continue to mix until combined. Bake for 30 minutes or until scones are golden brown and toothpick inserted in middle comes out clean. Blueberry scones, yay! Gimme one!